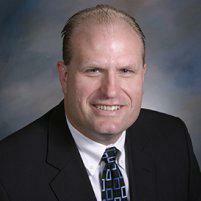 Dr. Lawrence Kacmar, MD, specializes in family medicine and sports medicine. 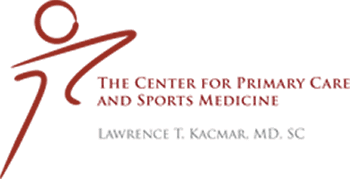 He provides preventive services and care for sport-related injuries at the Center for Primary Care and Sports Medicine, to residents of Aurora, Illinois. Sports medicine is a relatively young specialty that developed near the end of the 20th century. The focus of this specialty is physical fitness and the treatment and/or prevention of sports- or exercise-related injuries. Physicians can specialize in sports medicine, but other disciplines such as physical therapists and chiropractors may also be found in this field. Sports medicine specialists may treat the general public or work with professional athletes; some work directly with a particular professional club or team. What Do Sports Medicine Specialists Do? Many sports and athletic activities have the potential to cause injuries. Both training and competition can result in sprains, strains, fractures, dislocations, torn ligaments, muscles or tendons and spinal misalignments. Overuse injuries can also occur, especially in professional athletes who spend a great deal of time in practice as well as competition. Sports medicine specialists treat injuries, help identify performance issues that may be causing injuries or limiting performance and educate athletes about topics like body mechanics or conditioning to help promote peak performance. Do Sports Injuries Need Special Rehabilitation? Special rehabilitation may be necessary in some cases, especially for a professional athlete. Someone who only plays tennis a few times a week may not need the intensive rehabilitation that a professional tennis player does. A relatively minor injury might be career-ending in a professional athlete due to the intensive nature of professional sports. Time is also a bigger issue for the professional; a mid-season injury could put the athlete out for the rest of the season, which affects income and professional standing. Prevention is a key element of sports medicine. For professional athletes in particular and all athletes in general, there is always a risk of injury. Improper body mechanics, overuse of muscles that are too tight or too loose can all promote injury. A sports medicine specialist might spend time with a patient analyzing movement patterns or assess muscle strength and flexibility to make recommendations that can help prevent injury.